The web is a crowded place and so is the world of blogs and bloggers. With so many people making the blog posts, it is important to know how to start a blog which can stand apart from other blogs in more than one ways. Like any practice blogs also do have basics and it all starts with a design in the mind. When readers visit your site the first thing which catches their eyes should be engaging. It should be smart, attractive and cleverly designed. Apart from this, in fact on the basis of design no blogger can interest the reader in reading the blogs. The content of your blog needs to speak to the readers. It should be able to tell why your blog is different and what you are offering which others are not. 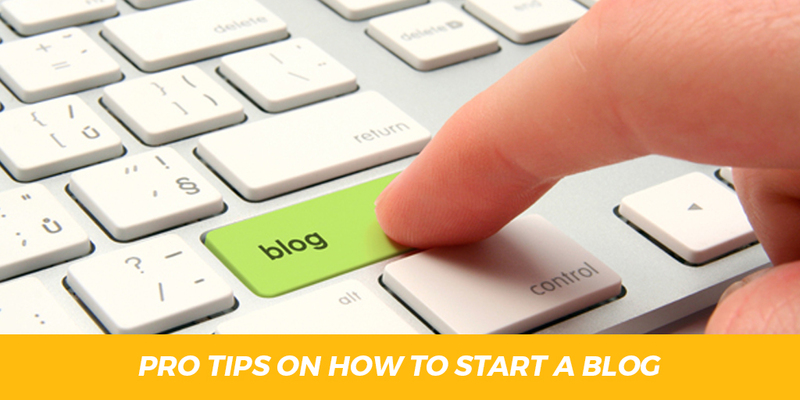 So, if you are all set to start with your blogging then below are tips which can help you to start your own inspirational blog. You can use them or if you want something highly personalized you can code it yourself or hire a coder which can do it for you. The choice of platform highly depends on what you are most comfortable using in and what you are planning to blog about. Most of these platforms are either free or offer free trial. You can try them and see with which platform you are comfortable with. You have a clear mind about starting a blog but do you also have this crystal clear view about the topic you are going to blog around? Blogging for the sake of blogging will not pay in longer terms and your custom website will be rendered useless on the web. Therefore, it is good idea to sit down with pen and pad in order to jot down the points you are doing to blog around and you can always come back to these as they will act as a reference point for you. It is very normal for a person to go all out when it comes to designing a blog because everyone wants their blog to stand out from the rest. You can think that fancy fonts and rainbow of colors will not harm the blog but this is where you are wrong. For colors don’t go crazy and try to use simple, natural and complementary colors. Don’t be afraid of white space in fact leaving some space empty in your design will make your blog look like professional. Therefore, don’t be afraid of leaving some design part of the block empty. Sometimes, less is really all we need to create a better design.